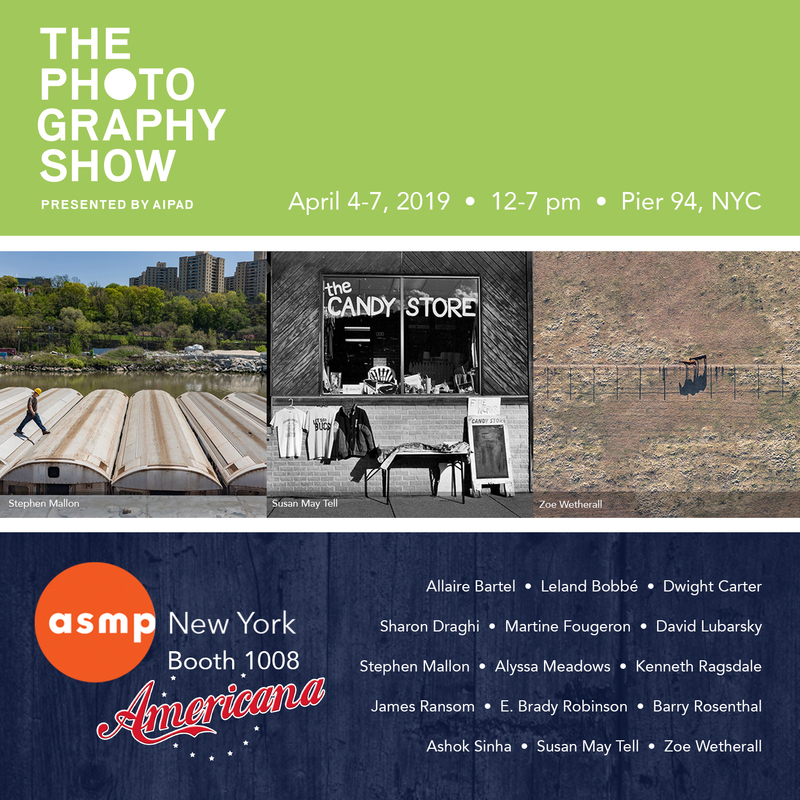 The New York Chapter of the American Society of Media Photographers is excited to announce that we’ve been invited to participate in The Photography Show presented by AIPAD from April 4-7, 2019 in New York City, at Booth 1008. This is a new opportunity to showcase and promote our members’ work with some of the top art dealers, curators, and collectors in the world, including an international audience that attends this annual, premier photography event in the United States. ASMPNY teamed up with Sherri Littlefield, the director of Foley Gallery, to curate the exhibition, themed AMERICANA. ASMP members click here for 20% off the day pass. Please note, the discount code is already embedded in this link. For many people the word “Americana” inspires references to apple pie, baseball, cowboys, and the United States flag. Iconic images of the country’s historical and cultural legacy often reflect simple, everyday life, steeped in popular appeal. Today’s image-makers dispel the tropes and clichés with imaginative and sometimes subversive perspectives on what it means to be an American and to live here. The simple way of life is gone and things now look complicated beyond our wildest dreams, and maybe beyond our control. A unified, popular view is absent. Can we still find Americana beautiful? More importantly, what does all this say about us? Allaire Bartel began her career in NYC by working as a photo editor and retoucher for high-end fashion photographers. Their outstanding reputations enabled her to work with some of the most esteemed clients in the fashion and luxury industry, including Vogue and Vanity Fair. Taking what she learned from this unique opportunity, she’s moved from behind-the-scenes to behind-the-camera, photographing portraits and products for luxury brands. Bartel’s personal work, in contrast, examines women’s issues in society. This series, Boundaries II, builds on an early personal project, Boundaries, which depicts the sexual harassment many women face in everyday life. Leland Bobbé, a native New Yorker has been a professional photographer for the past 40 years working in both the commercial and fine arts field. His award winning work has appeared in numerous publications and has been exhibited worldwide. Bobbé’s recent project titled Half-Drag . . . A Different Kind of Beauty went viral appearing on thousands of blogs, websites and online magazines in over 30 countries including Vogue Italia, Huffington Post, ABCnews, TheSundance Channel and MSN. He also appeared on the first guest segment on the recently launched HuffPost Live. Dwight Carter is an advertising and portrait photographer, known for his portrait work which includes subjects such as, Dr. Maya Angelou, Leontyne Price, Oprah Winfrey, Ruby Dee, Tony Morrison and Nelson Mandela, and a host of others over a 30 year career. Dwight’s career began in great company, as assistant to Richard Avedon, Hiro, Bert Stern and Helmut Newton. Dwight served in Vietnam as a combat photographer and personal photographer to General Creighton Abrams, US Commanding General of South Vietnam, after receiving his B.A. Degree in Fine Arts from Art Center College of Design, in Los Angeles. Sharon Draghi’s photography explores intimacy and the solitariness of one’s inner world. By mixing candid and staged imagery, she creates open-ended narratives taken specifically from a woman’s point of view. Her work has been exhibited at Foley Gallery, Filter Photo, Woman Made Gallery and at the Julia Margaret Cameron Awards in Barcelona. She has been featured in several publications, including TagTagTag Magazine, It’s Nice That and Photo District News. Martine Fougeron is a fine art photographer living and working in New York whose work has been exhibited internationally and is held in major public and private collections. Her incisive images of life and culture in that city have made her a frequent contributor to The New Yorker, The New York Times Sunday Magazine, The WSJ Magazine, FT Week End and New York Magazine. Fougeron is on the faculty of the International Center of Photography and has been a guest artist and teacher at Pratt Institute, New York University, CCNY and SVA. Martine was a 2016 artist in residence at Yaddo. With over three decades of experience, David Lubarsky has been exclusively working as an independent assignment photographer based in New York City. After graduating from the School of Visual Arts in 1979, his early social documentary/reportage images crystallized a distinct view of the human experience which continues to inspire his current assignment work today for the editorial, corporate & fine art markets. Like many photographic artists who start families, David decided to take on corporate & editorial assignments in order to sustain his freelance career. This work has been published in numerous business publications, corporate brochures, annual reports and corporate websites. Several images from Lubarsky’s “InTransit” series are included in the permanent collection of the Museum of the City of New York. Stephen Mallon is a photographer and filmmaker who specializes in documenting the industrial-scale creations of mankind at unusual moments of their life cycles. Mallon’s work blurs the line between documentary and fine art, revealing the industrial landscape to be unnatural, desolate, and functional yet simultaneously human, surprising, and inspiring. His work has been featured in publications including The New York Times, National Geographic, Wall Street Journal, Daily Mail, Atlantic, GQ, and Vanity Fair.  Mallon has exhibited his work nationally and internationally. In 2009, he produced Brace for Impact: The Salvage of Flight 1549, a series of photographs depicting Chesley “Sully” Sullenberger’s legendary landing of a passenger aircraft in the open waters of the Hudson River. In 2010, his solo exhibition Next Stop Atlantic documented the disposal of New York City subway trains at sea to form artificial reefs. In 2013, Mallon was commissioned by the New York Times Magazine to shoot “Behind the Curtain,” a time-lapse film showing behind-the-scenes footage over the course of two days at the Metropolitan Opera. His work has been included in over 50 exhibitions over the past decade, including a recent solo show at Front Room gallery in early 2019. Mallon lives in Beacon, New York with his wife and daughter. He has been a board member of the New York chapter of the American Society of Media Photographers since 2002 and served as its president from 2006 to 2009. Alyssa Meadows is a nationally-exhibited artist who currently lives in New York City, working as an artist and activist worldwide. She uses photography to break silences, connect with others, and learn through exploration. Her main subjects predominantly focus on issues of intersectional equality and environmental activism. In 2018, she was selected for the Aaron Siskind Foundations’ IPF Grant and best series for N.Y. Curator’s Grief exhibition. She’s been published in a variety of publications, ranging from People Magazine to PDN’s Photo of the Day, Pro Photo Daily, and L’Œil de la Photographie. Pacific Northwest native Kenneth Ragsdale’s work, derived from personal memories, involves a mixture of drawing, painting, sculpture, paper-craft, theatre lighting, and photography. The content of this work reflects his own childhood narrative and its metaphorical relationship with that of the growth of America as a nation. He received a BFA from The Pacific Northwest College of Art in Portland, Oregon and an MFA from The University at Albany. He teaches in the Art Department at Rensselaer Polytechnic Institute and serves as Chairman of the board of Collar Works Gallery in Troy, NY. He is represented by Front Room Gallery in New York City. James Ransom is an award-winning, food and interiors photographer. He is known for creating dramatic, arresting imagery that draws you into the moment with his use of color and shadow. James studied photography under the late John Telford at Brigham Young University in Provo, Utah. He later relocated to New York City to pursue a commercial career where he now lives with his wife and four children. Brady Robinson is represented by Addison Ripley Fine Art and Amstel Gallery. She divides her time between personal art projects and commissioned work. She is the owner and founder of Bmoreculinary. Her documentary Art Desks was published by Daylight Books with essay by Andy Grundberg and distributed by ARTBOOK D.A.P. Robinson teaches Studio Lighting at UMBC and digital photography at AACC. She received her BFA in photography from The Maryland Institute, College of Art in Baltimore, Maryland and her MFA in photography from Cranbrook Art Academy in Bloomfield Hills, Michigan. Barry Rosenthal a fine art photographer and sculptor. He studied photography at the Dayton Art Institute in Dayton, Ohio and at the Apeiron Workshops in Millerton, New York with notable photographers Emmet Gowin and George Tice. Barry‘s fine art images can be found in the permanent collection of the Museum of Modern Art in New York City and the Springfield Museum of Fine Art Springfield, Massachusetts. Ashok Sinha is a New York based artist whose personal work comprises a variety of subject matter ranging from large-scale landscapes to intriguing human-interest stories, while his commercial career as an architectural photographer informs bodies of work that focus on the built environment. His photographs have been widely published by editorial outlets such as The New York Times, TIME, Interior Design, Architectural Digest and exhibited by The Museum of the City of New York, the International Center of Photography, and The Royal Photographic Society in London and included in many private and corporate collections. A visual poet, Susan May Tell was recently awarded artist fellowships to Yaddo and The MacDowell Colony. Her work is in the Smithsonian Museum’s Samuel Wagstaff Collection; her Oral History and Catalog of Works were recently acquired by Columbia University. Tell’s photographs appear in solo museum and university exhibitions, as well as scores of brick-and-mortar galleries coast to coast. Elizabeth Avedon included them in “fossils of time + light” — a book she curated and designed. Tell also had a celebrated 25-year career photographing in more than 20 countries for pre-eminent publications including the New York Times, Time and LIFE Magazines. The beauty of Zoe Wetherall’s work is in the structured geometry of natural and man-made forms. She nurtures a design-conscious approach to her work, paying attention to the subtle patterns hidden in architecture and landscape, and using her camera to reveal their beauty. Much of her work has been shot from hot air balloons. She found that familiar landscapes resolved into something quite different when seen from above, and she liked the way that distance sorted the noise and humanity of the ground below into orderly, abstract designs. Zoe is originally from Melbourne, Australia but is now based in Brooklyn, NY. You can preview our exhibition here. Just attended an ASMP-NJ meeting. Not a member at the moment. Can I still attend the Show?